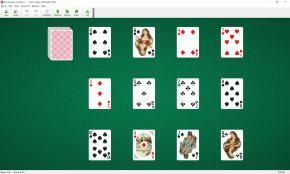 Trusty Twelve Solitaire uses one deck (52 cards). You have 12 tableau piles with one card in each pile. To build the tableau piles down, regardless of suits. Only the top card of each tableau pile is available to play. tableau piles are built down in sequence regardless of suit. 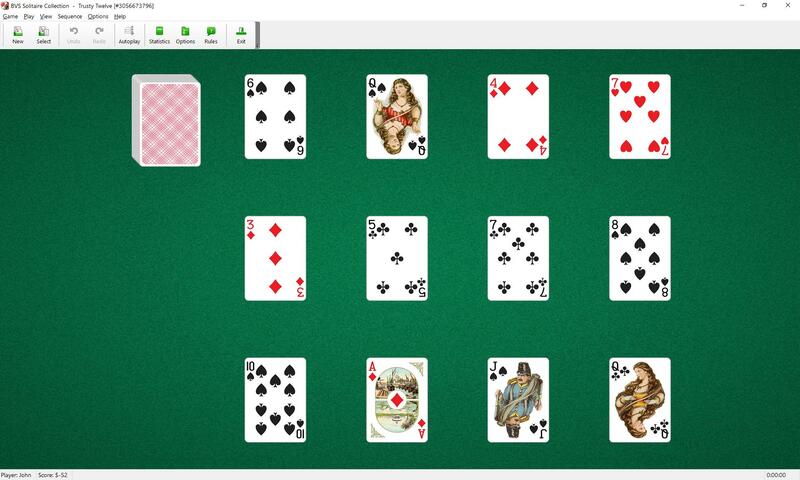 Only one card at a time may be moved. Spaces are filled automatically from the waste pile.